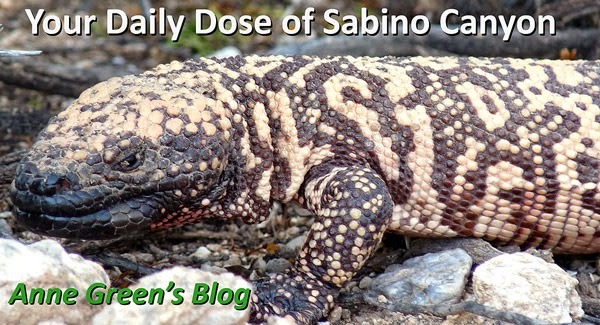 Your Daily Dose of Sabino Canyon: So how are the Saguaros? 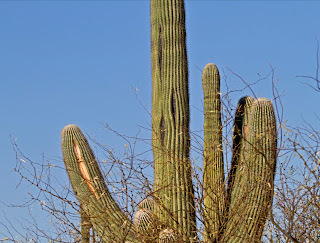 On the Wednesday Nature Walk, Peggy noticed this saguaro (on the first 1/4 mile of the Esperero trail, starting from the VC) that's split in a number of places, most likely from the multiple days of freezing temperatures. 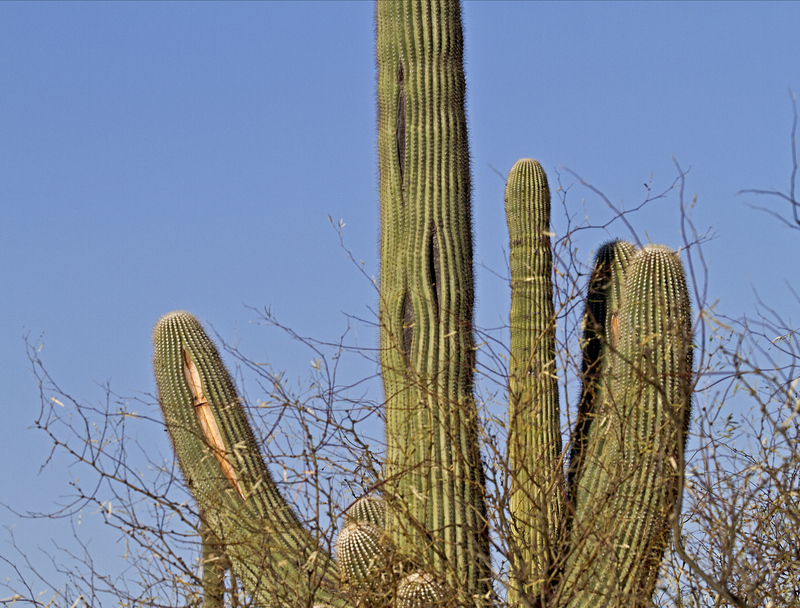 According to a recent article in the Star, we may not know for some time how many saguaros have been fatally affected by the freeze. 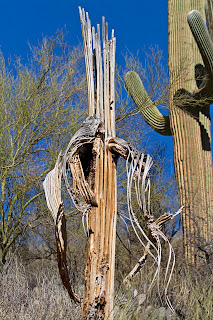 Please send me photos of any canyon saguaros that look to be frost damaged and I'll do my best to keep you posted. 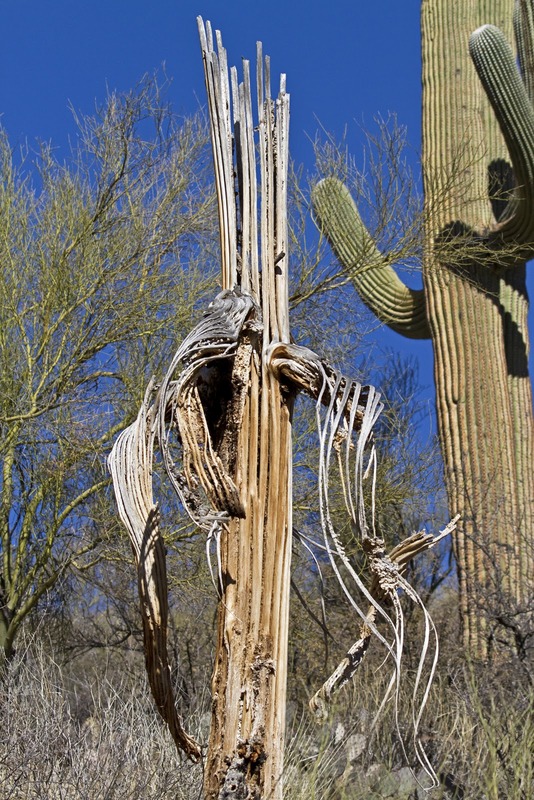 Although the skeletons are beautiful, too, I don't think we need any more!